17-year-old Florida teens wears #BlackLivesMatter inspired prom dress. Photo credit: @_Milan23_ courtesy of The Grio. From elaborate hairstyles to ornate dresses, prom is a chance for teens to show off their one of a kind style. Seventeen-year old Milan Bolden-Morris used her prom dress to show that she isn't just fashionable, she's socially conscious too. 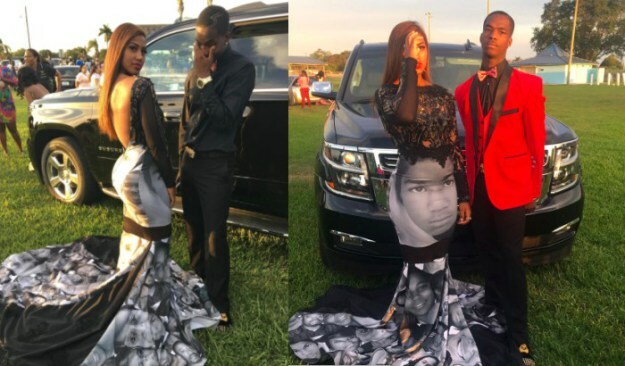 The Palm Beach, FL senior wore a custom gown honoring the Black Lives matter movement, featuring black and white images of Trayvon Martin, Sandra Bland, Tamir Rice, Michael Brown, and others slain by police. Florida based designer Terrance Torrance created Bolden-Morris' powerful dress over four days. "It was powerful," Torrance told Essence.com. "It was art. It was surreal. It spoke volumes." The prom dress has gone viral, with the internet sharing its opinions on the statement making gown. "It was powerful and a movement and I knew people would respond to it," said Torrance. 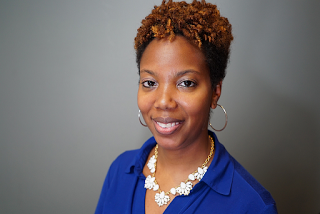 What do you think of Milan Bolden-Morris' fashionable activism? Do you love her prom dress?